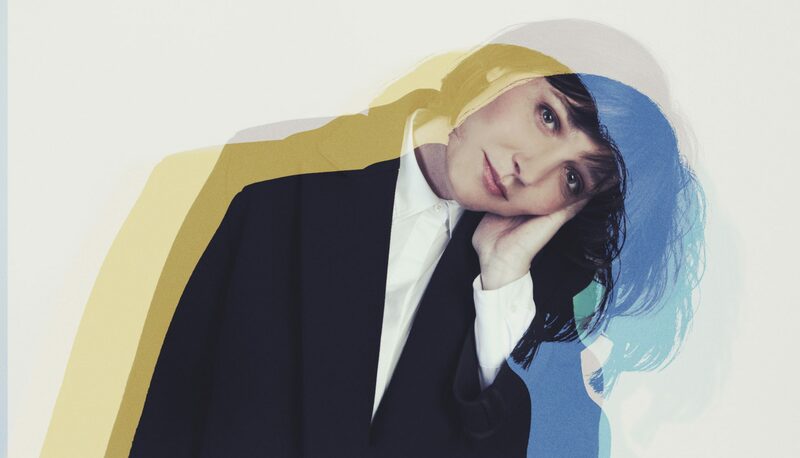 Sarah Blasko writes songs that strike with rare immediacy, clarity and purpose. Melodies beguilingly simple, lyrics ever honest and direct. She has a deserved reputation as one of Australia’s most commanding live performers whether she’s playing in the most intimate theatres, the grandest Opera Houses or our most expansive festival stages. From her game-changing debut The Overture & The Underscore (2004) through to 2015’s stunning synth-laden paean to love Eternal Return, the three-time ARIA Award winner has continually proven herself an irrepressible artistic force and one of the most recognisable voices in Australian music. In the midst of releasing 5 studio albums both beloved by fans and critically adored, Blasko continues to find time to write scores for award winning film, television and theatre productions. I guess I just felt drawn to music. I know it sounds a bit airy fairy, but it’s true. I just remember feeling a strong pull to it. It made me happy even as a child. I didn’t really do any music at school, it was mostly behind closed doors. I’d close the door to my bedroom almost every afternoon and simply sing to my favourite songs. I was a religious kid and a few older friends at church played me Talking Heads and the Pixies. We were in a band together and they taught me how to roll up guitar leads and put a simple PA together, how to play a few chords. They also snuck me into shows I was too young for. They really encouraged me to pursue music. I think my dad fostered my love of music too. His record collection introduced me to David Lynch, Paul McCartney, Bob Dylan, and Simon & Garfunkel. I did a performing arts course, started doing lots of gigs with a band I was in with my sister and then when I was at university studying a Bachelor of Arts in Film and English we entered the university band competition. I guess that’s when I first met a few people from record labels and management companies. It wasn’t advice so much as when people lovingly put their time into helping me. My first manager Craig New funded my first solo EP and helped me make a few simple changes to the way I was doing things that made a big difference. To have great, honest feedback is really important. Playing with an orchestra at Sydney Opera House has definitely been a massive highlight. The whole process of making ‘I Awake’ was pretty special – recording an orchestra in Bulgaria. There were times I had to pinch myself. Most of the travel I’ve done with music has been wonderful. It’s taken me to some really far-flung places. Some young people who are passionate about music don’t pursue a career after school in this area, as they are concerned they won’t have a secure job. What advice can you offer young people who are thinking about pursing a career in this industry? I would say to them that it’s really important to focus on your art first. It’s not a standard career path. You need to keep heart in what you’re doing, not on the industry and thinking about how you can fit in it. I went to university and had other jobs and it fuelled my desire to make music. There were plenty of musical outlets at university too. You’ve got to live in order to have something to write about! It’s a great release of me, I feel a weight lift when I sing and perform. I’ve travelled all over the world & found myself working with people I never expected I would. There’s been many unexpected twists and turns, it’s an exciting pursuit. Mainly just to keep evolving and learning and getting better at what I do. I’d love to be involved in a musical somehow and to collaborate more in theatre and film. “To thine own self be true”. A Shakespeare quote that never grows old.